The first Thai university which provides international programs for Bachelor’s and Master’s degrees. It offers 19 undergraduate degree programs, along with 22 minors, covering liberal arts, sciences, and management. The college also provides 2 master’s degree programs. MUIC aims to become internationally recognized as a leader in high quality liberal arts education, and develop excellence in various teaching styles of liberal arts and in carefully-selected programs. The college is also determined to prepare its students to become the world’s citizens in the 21st century who can put knowledge into practice for the Thai society. MUIC is determined to dedicate all resources and capabilities to strive towards academic excellence. มMUIC has MOUs with the universities in North America, South America, Europe, Asia, and countries and islands in the Pacific. 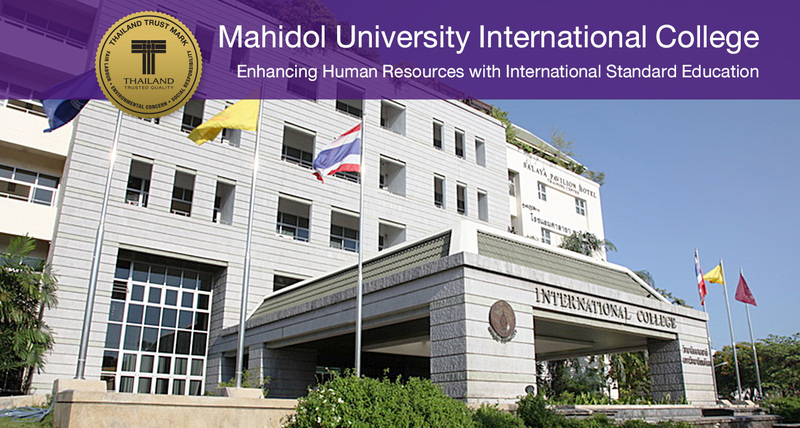 Mahidol University International College is the first international college in a public university, showing its capability to develop programs and the preparation of the University to enable human resources to continue the country’s progress. Assoc. 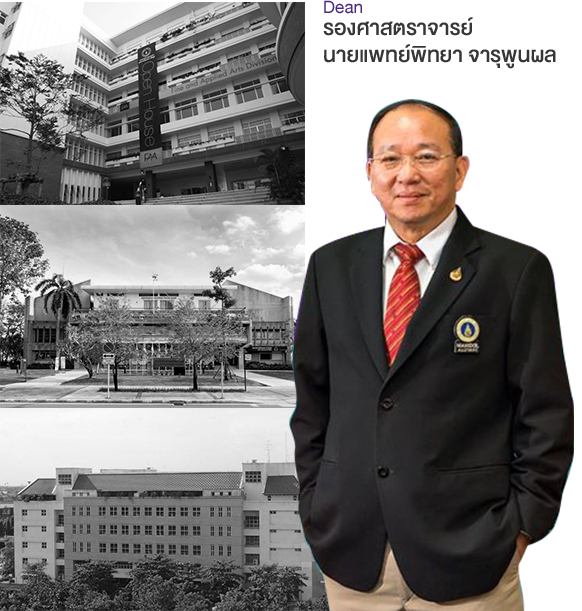 Prof. Phitaya Charupoonphol, Dean of Mahidol University International College is a key leader who guides the college’s mission and vision, which help lay a strong foundation of knowledge for students. 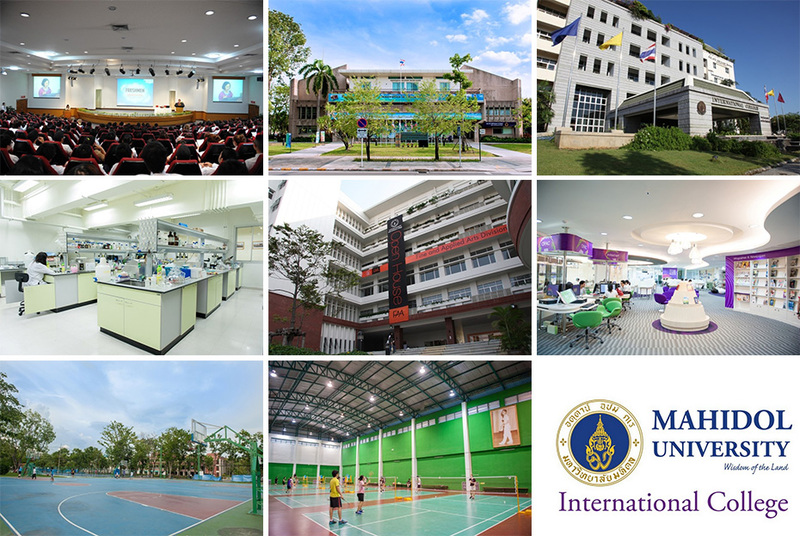 At present, Mahidol University International College offers 19 undergraduate degree programs, along with 22 minors, covering liberal arts, sciences, and management. It also provides 2 master’s degree programs. MUIC has developed policies to continually maintain its international standards. Adhering to its vision of exchange, the college now has MOUs (Memorandum of Understanding) with more than 100 institutions. Mahidol University International College conducts its programs in English while expanding to cover other languages, such as Chinese, Spanish, Japanese, French, and German. Students have an opportunity to study with lecturers who are also native speakers of a particular language. The teaching standards of foreign lecturers are also maintained. The college has its own recruitment process and regularly develops skills of personnel, such as holding an English proficiency test to ensure that all staff members meet requirements. Mahidol University International College is T Mark-certified by the Department of International Trade Promotion. This is a key factor enhancing the college to create activities towards excellence in many areas, from education to extra-curricular activities such as sports, martial arts, debates, music, arts, and volunteer activity. Being certified by T Mark allows MUIC to make a progressive process in order to always meet excellence indications. The college has been developed to deliver its mission. Its determination guarantees its quality and highlights its responsibilities for international collaborations and excellence in education. Furthermore, the college has been awarded ‘Best Practices’ in student exchange programs among universities under the Office of the Higher Education Commission with foreign universities by the Ministry of Education. The students of Mahidol University International College have opportunities to learn in a truly international environment. During the last academic year, they will attend an internship program at SALAYA Pavilion. With this program and through various activities, they will learn to work in a real environment. Consequently, the students of MUIC are recruited by leading international organizations, ranging from airlines to 5-star hotels. In the future, Mahidol University International College plans to open a campus in Sathon district in order to create more opportunities of accessibility and launch new programs such as Media and Communication Arts. What’s more, the college has cooperation in a business administration program with University of Lucerne, Switzerland.